LandVest recognizes the top New England and Adirondack properties offering great value and priced to sell. To qualify for the select list, property attributes must include at least two of the following: Priced below assessed value, priced well below what the owner has invested in the property, priced below comparables, has had a significant price reduction, are “grandfathered” in some way and can’t be rebuilt today for the offered price. Was $8,900,000 each, (well under assessed ) Now? Contact Kristin Claire to learn more about this significant price drop. • The two magnificent homes, offer luxurious space with a ballroom, theaters, spas and plenty of room for car collection. • The granite amphitheater and one room cottage at the water’s edge. 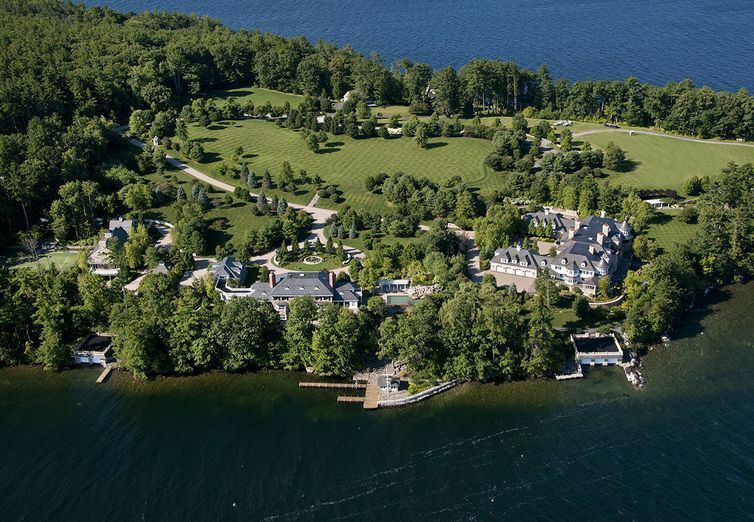 Two of New Hampshire’s most significant waterfront properties are now priced well below assessed value. The grandfathered waterfront features, top drawer amenities including heli-pad, infinity pool, formal and informal gathering spaces, and multiple porches to enjoy the views, make these properties an exceptional buy. The abutting property at 116 Hopewell Road which includes a two bedroom barn, two bay boathouse and tennis court is available separately. The picturesque views over Portsmouth Harbor to the Atlantic Ocean from this welcoming cottage are splendid. A large boathouse with railway system and workshop can accommodate a substantial vessel - the envy of every boating enthusiast! Only an hour or so north of Boston, a convenient getaway. At half the price of comparable homes in WY, this 10,000 sq ft log home was designed by a famed Jackson Hole architect with beams hand hewn in MO. Set on 72 acres and surrounded by 2600 acres of Williams College’s Hopkins Forest, the massive log house offers privacy, and plenty of bedrooms for multiple families and guests. All with close proximity to Jiminy Peak Skiing, Williams College, the Clark Art and all the Berkshires have to offer. So turn the plane around and head east for a great deal! A great deal! VERY GOOD PRICE FOR WITHIN PADANARAM VILLAGE (price per square foot is a little lower than average for Padanaram) Can be second home, starter home or fit for downsizing. The best deal in Concord-- flexible layout with tons of potential for the creative buyer, yet carefully-maintained and move-in ready! Low cost of living with owned solar covering electric costs. Hard to beat this single-family offered at $839,000. Unsurpassed sweeping views of the bold Atlantic Ocean as it meets Boothbay Harbor. With 3 lighthouses, passing boats of every description, distant islands and curious seals, the views are amazing and everchanging. The views alone are worth more than the asking price. Priced well below assessed value and set on 6± private acres on the water, this unique Contemporary built by the renowned team of the Knickerbocker Group is an incredible steal. And having your own private dock in Boothbay is priceless. Unusual amount of privacy and waterfront with wonderful views. A well-appointed, year-round nicely designed home, ready to go. Priced below assessed value, amazing lakefront property with sandy beach, large dock and multiple guest houses. A modern marvel located in a private oasis with pond and woodlands yet close to Dartmouth College and Dartmouth Hitchcock. Incredible deal! Priced at close to half the original asking price-for a private Adirondack island getaway! A perfectly preserved historic Adirondack Great Camp with space and comfort for small or large family groups. Includes a classic Adirondack boathouse. 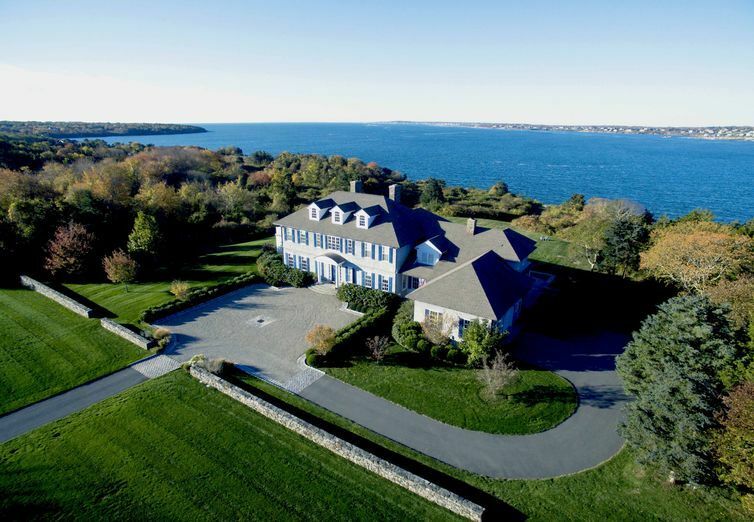 30 stunning acres on Narragansett Bay. There are 11 active listings in Jamestown above 2M. On a price per waterfront foot basis, we have the lowest priced at apx $6,000/ft. The high is 71000 per foot! On a per acre pricing we are second lowest at 279,000 per acre. High is 2.2million per acre. Priced below assessed value, gorgeous views and house. Good value for the price. Exceptionally beautiful farm property close to Dartmouth college at an affordable price. Offered with 199 acres or on 43.60 acres for $895,000. Would make an ideal property for Hemp production. This 73.40 acre farm in Southern Vermont is listed below assessed value. It affords complete privacy, a 2-acre swimming pond, antique brick cape and barns. Also available with 1,881 acres for $3,940,000. Priced below assessment its the best deal in desirable Charlotte! This extremely private turnkey property on 6+/- acres has a 4 bedroom main house and an adjacent 4 stall barn with an income producing 2 bedroom apartment above. Priced well below assessed value and set on 114 extremely private acres on the East Creek and bordered by conserved land. Turnkey 3 bedroom home has an attached 2-car garage and separate unfinished 2-story barn.